Wow, these Melbourne’s wizards have been feeding our eyes and ears with their ever-evolving concoction of psych rock substance, for quite a while now. With more than a few handfuls of releases in the past two years, they return with a stunning new full length, and have found a new home in jazz-psych-folk vibes, on an all too perfect fit, in my opinion. Quarters! in unlike anything you’ve heard from them in the past. Without venturing too far from the melted-soaked psych jams we love them for, the seven pieces have conjured up a somewhat meek approach, and their music feels more dreamer and heart-warming than ever. Those of us who were taken in by the grainy, blow stone of the heady ‘I’m In Your Mind Fuzz’ LP, as well as other early releases, shouldn’t let the term “meek” scare you away from this gem.For the lack of a better word, that is exactly what it is. Everything has been somewhat revamped, and the results are epic. 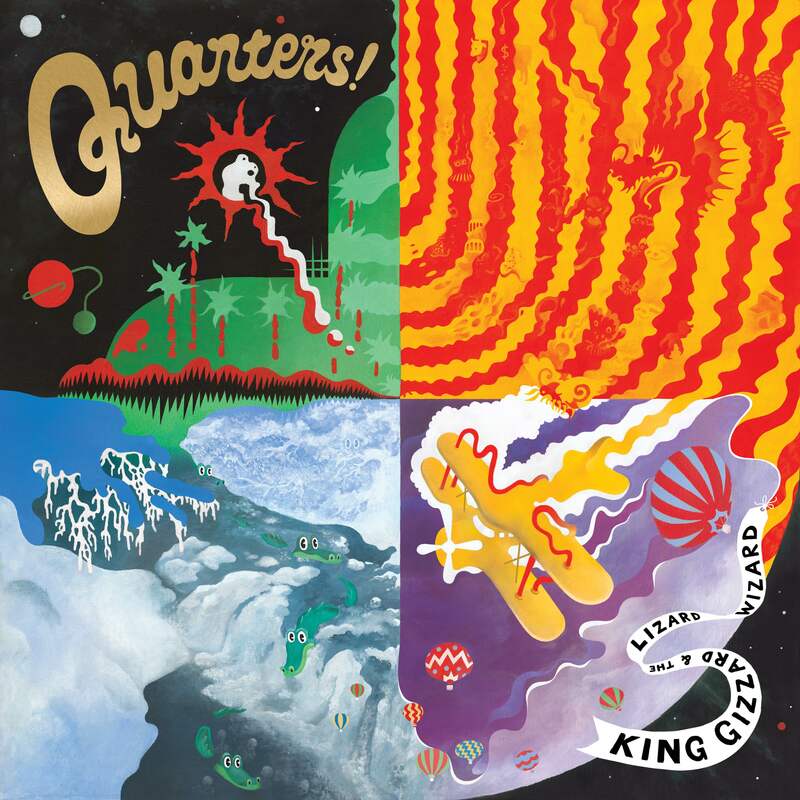 King Gizzard And The Lizard Wizard ‎– Quarters! 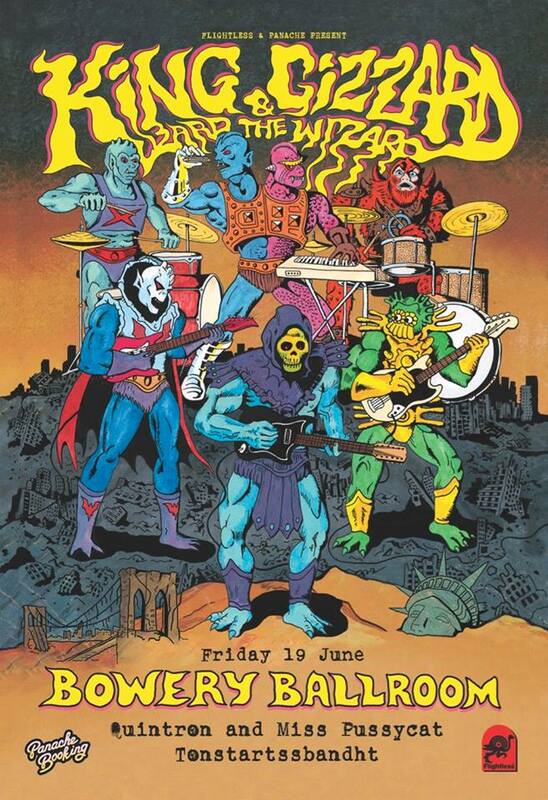 This is from the deluxe vinyl edition of King Gizzard & The Lizard Wizards 6th studio album “Quarters!”. The 4-way cover design was hand painted by Jason Galea and printed on 350gsm reverse board cardboard with Quarters! stamped in gold foil. The record itself is a beautiful deep gold coloured wax. Includes unlimited streaming of Quarters! via the free Bandcamp app, plus high-quality download in MP3, FLAC and more.